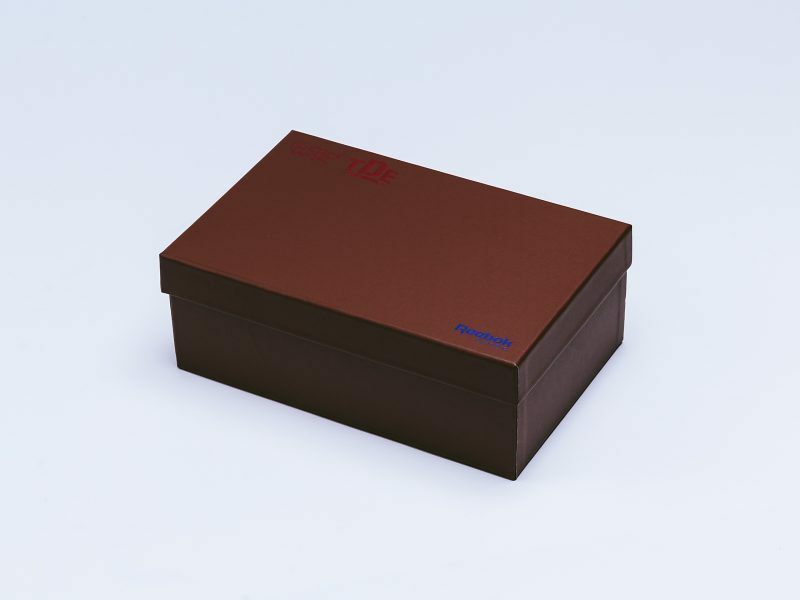 Solid Greyboard standard lid and base sneaker box. 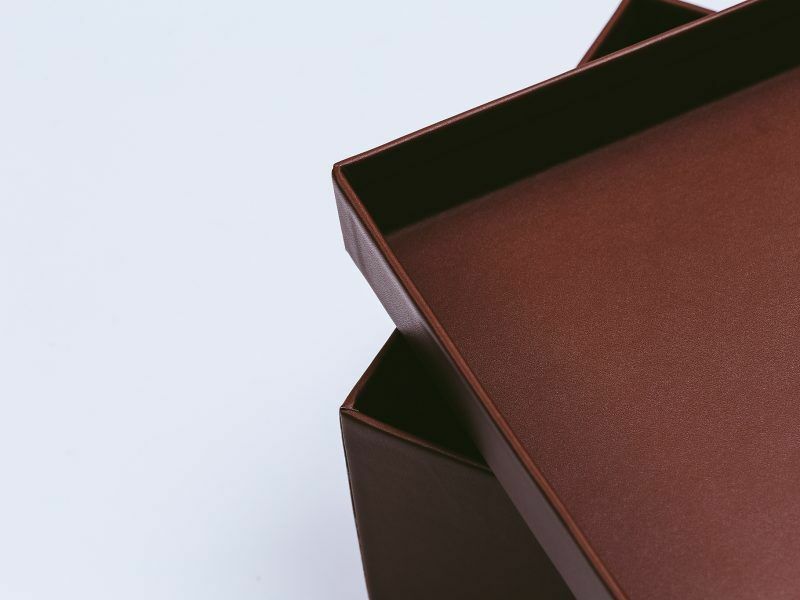 Faux leather material paper wrapped exterior and interior featuring multiple positioned hot foiled metallic ink logos on lid. 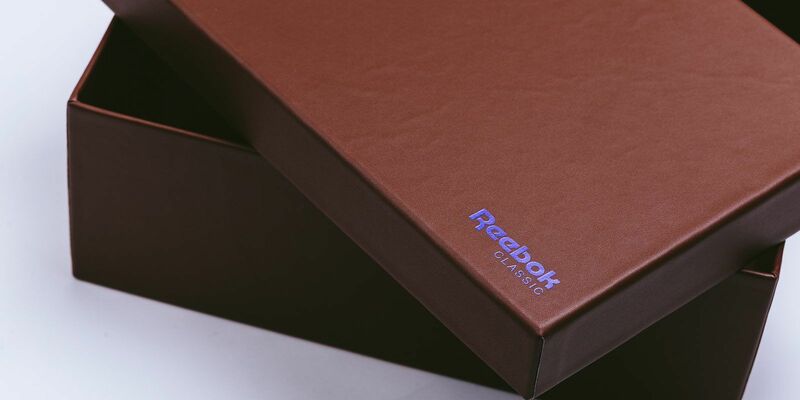 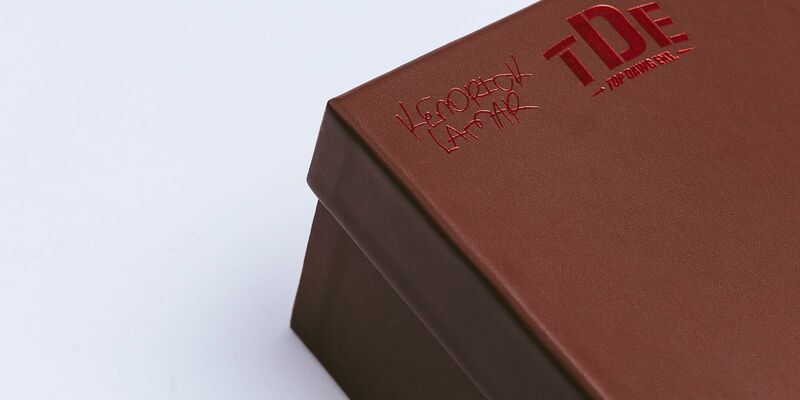 Working closely with our partners Reebok on a tight timescale product delivered to various locations in America via airfreight to meet the seeding launch of a Reebok Kendrick Lamar collaboration.